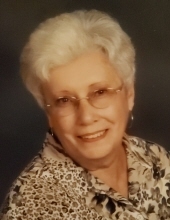 Linda Drum Baird, age 76, of Newton passed away Friday, April 12, 2019 at Catawba Valley Medical Center in Hickory. Linda was born October 29, 1942 in Catawba County to the late Leonard and Era Drum. She was a member of Calvary Baptist Church in Newton. Linda was retired from Peoples Bank. In addition to her parents, she was preceded in death by her husband of 46 years, Jerry Rowe Baird. A private time of celebration and remembrance of Linda will be held privately by the family. No public service or receiving are planned. Memorials may be made to the Humane Society. Burke Mortuary and Crematory in Newton is serving the Baird family. To send flowers or a remembrance gift to the family of Linda Drum Baird, please visit our Tribute Store. "Email Address" would like to share the life celebration of Linda Drum Baird. Click on the "link" to go to share a favorite memory or leave a condolence message for the family.